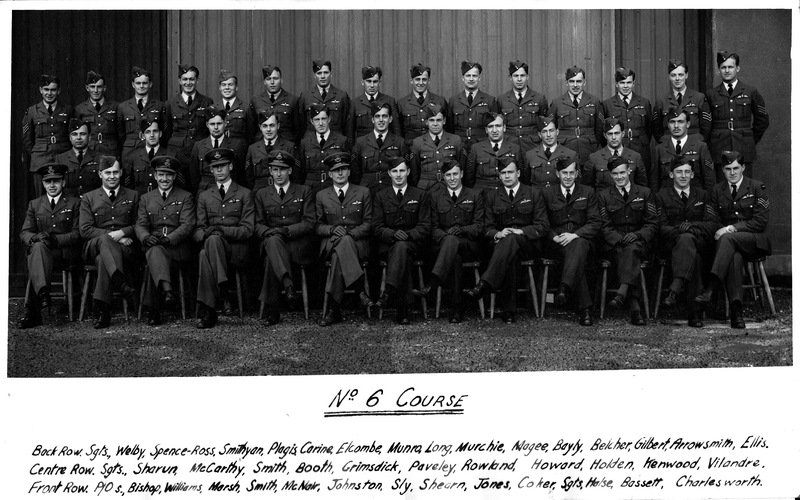 Pat Murphy has been contributing to this blog about 403 Squadron. 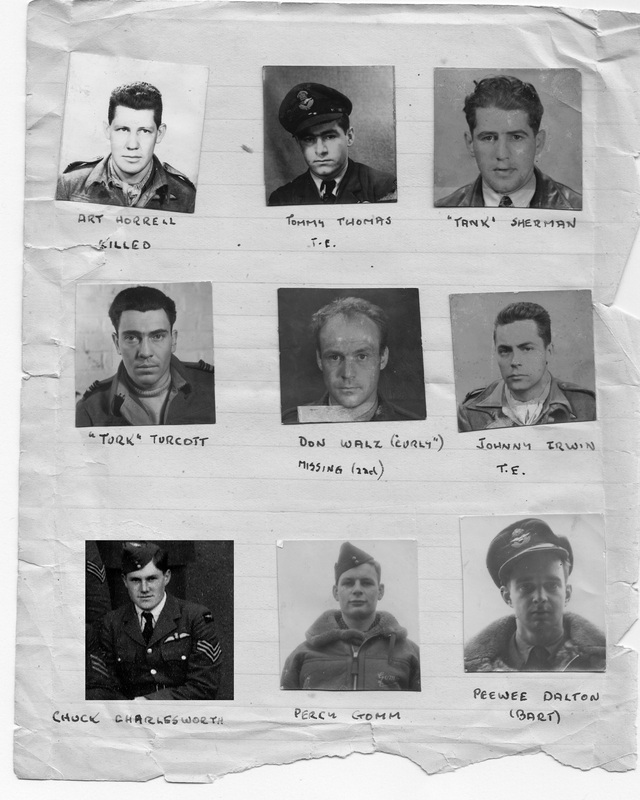 Last night he sent me this picture of Charles Charlesworth who flew with 443 Squadron. In a sense this post belongs here and I will reblog it later on my other blog about the 443. Pat is a subscriber to this blog and he saw the post about Chuck Charlesworth. Pierre really enjoying your recent postings and it’s always nice to see the Smith Brothers story again. Here is a picture that Art Sager gave me in 2004 of Charles Charlesworth at the far left, Art in the middle and Lloyd Hunt sitting on a jeep. It was taken in March 1945. Those are the only details I have. Pat is the contributor who wrote the story about the Smith brothers. He had more to say. 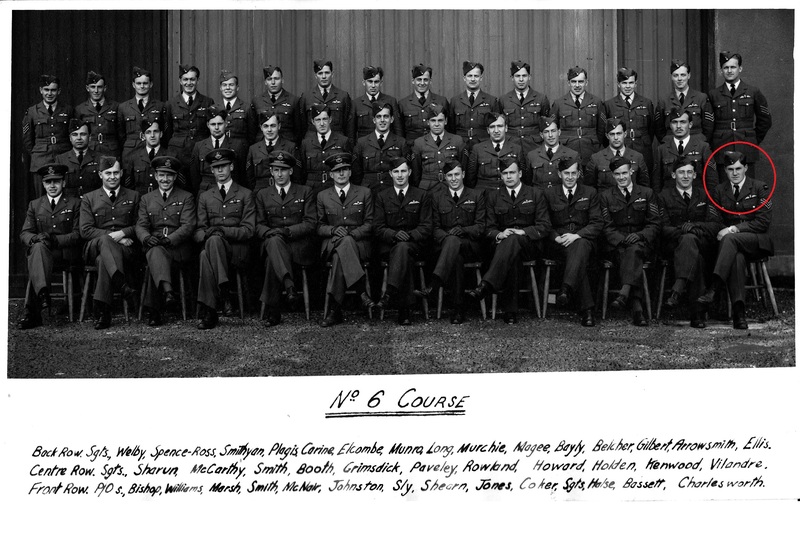 Art also gave me a 443 Squadron group photo probably taken around the same time. 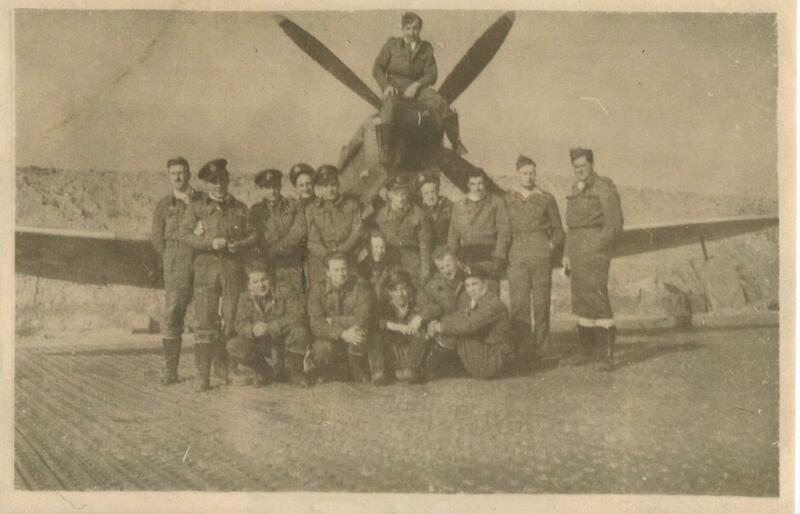 We never got around to identifying all those Spitfire pilots but you can see Art second from left, Charlesworth far right and Jim O’Toole is in the bottom row second from right without the hat. 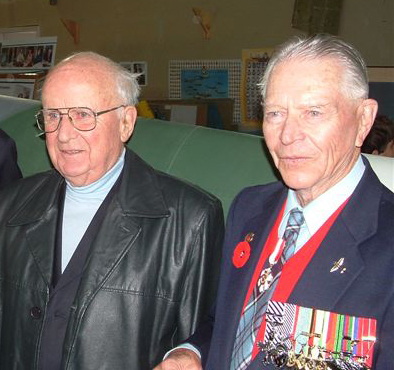 Jim lives in Nanaimo and recently celebrated his 90 birthday at the Vancouver Island Military Museum with his family in attendance, Stocky Edwards came down from Comox to say a few words and it was a fun time to see these two Spitfire pilots together. 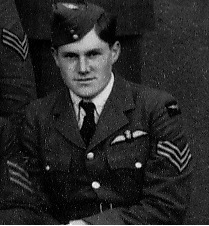 Stocky was the Wing Commander for the last few months of the War. 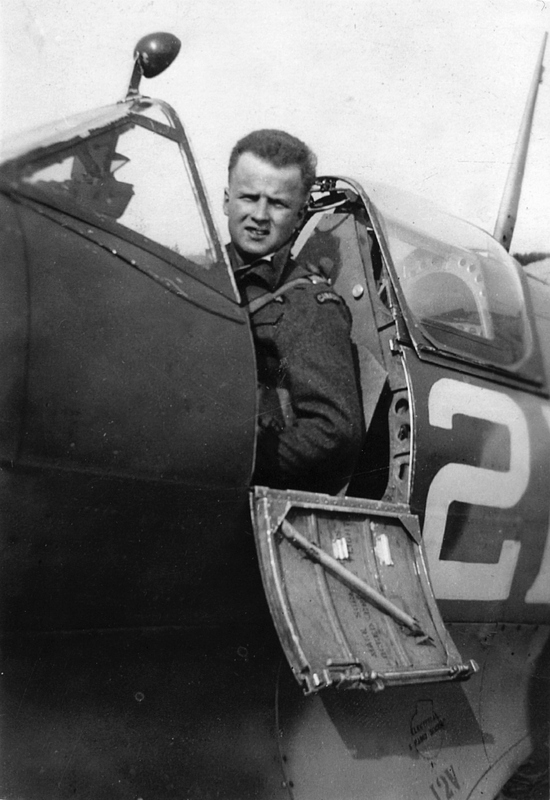 I’ve also included a picture of Jim O’Toole in his Spitfire. All 3.9 megs of it! I was so beautiful that I could not resist sprucing it up a little. We have a copy of Jim’s log book in the museum and it makes for interesting reading. Bruce McNair added this comment after he sent this picture of his father with fellow pilots. Glad you liked the photo. Rod was a lanky 6’5″ and Dad a stocky 5’11”. They were a good team. In the photo, on the left front is Arthur Bishop, son of Billy. Arthur is a bit of a legend himself. You will see his signature on the silver tray a photograph of which I sent you. I was in touch with Arthur up until he died. He was a fiesty, undefeated fighter to the end. 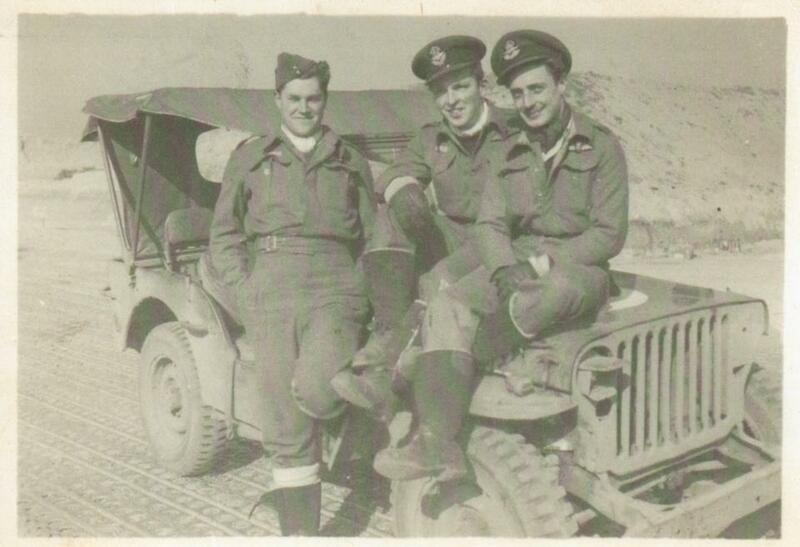 On the far right, front, is Chuck Charlesworth, who remained friends with Dad and Rod after the conflict was over. Four pilots are now positively identified. And now Arthur Bishop, the son of the legendary Billy Bishop. If you have a comment or want to contact me, just fill out the form, or write a comment in the comment section. I know why I was all excited yesterday when Bruce McNair sent me this picture of his father with some new pilots. I will tell you why I posted an article on the wrong blog. It was about the caption. Look at then name at the end of the row. 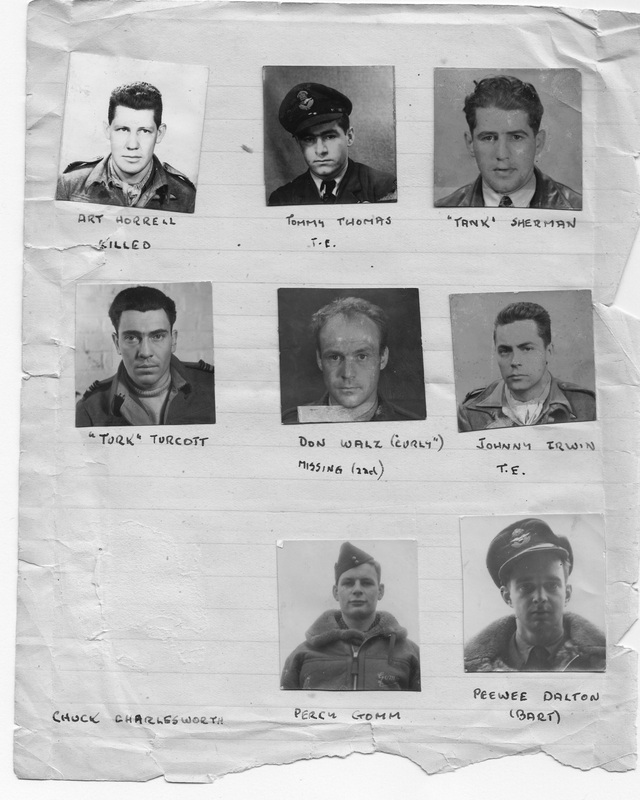 I have been searching for that pilot whose picture was missing from Art Sager’s WWII memorabilia that I posted on my blog about RCAF 443 Squadron. I recently posted this story on RCAF No. 443 about Paul Piché, a pilot who was killed on October 11, 1944. When I saw Charlesworth’s name in Bruce’s picture of his father, I jumped the gun and posted the No. 6 Course picture on that blog instead of this one. Where did Buck McNair got his wings? I knew where to look. Robert Wendell McNair was born on May 15, 1919 in Springfield, Nova Scotia. He spent his boyhood in the Annapolis Valley and in North Battleford, Saskatchewan. His family had relocated there during the depression looking for work. He completed high school in North Battleford in 1937 with good marks. He went to work for the Saskatchewan Ministry of Natural Resources as a ground wireless (radio) operator. Then the war started in September, 1939. He continued work for a while until it became clear that this was not to be a quick war. 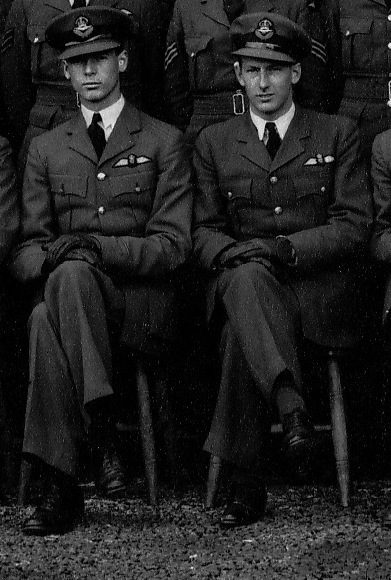 He enrolled in the RCAF in June 1940 and went through the usual training regimen, attending schools in Toronto (No.1 ITS), Windsor (No.7 EFTS) and Kingston (No.31 SFTS). He graduated as a pilot on March 24, 1941. That group picture could have been taken at No. 31 S.F.T.S. Kingston, Ontario. And this has to be Chuck Charlesworth at the end of the first row. I know Chuck Charlesworth survived the war because his name is not listed on the Canadian Virtual War Memorial and Art Sager would have written a note on this page. I wonder how many pilots from No. 6 Course survived the war. I know Rod Smith and Buck McNair did. For more on Rob Smith, you can read what I posted on him and his brother Jerry. If you have any comment or want to contact me, just fill out the form, or write a comment in the comment section.